The Widnes Vikings ‘Tackling Cancer… #ImOnIt’ campaign has received a number of high profile endorsements from the likes of rugby league Legends Jonathan Davies and Kevin Sinfield to football icons Kevin Keegan, Alan Shearer and Gary Lineker. 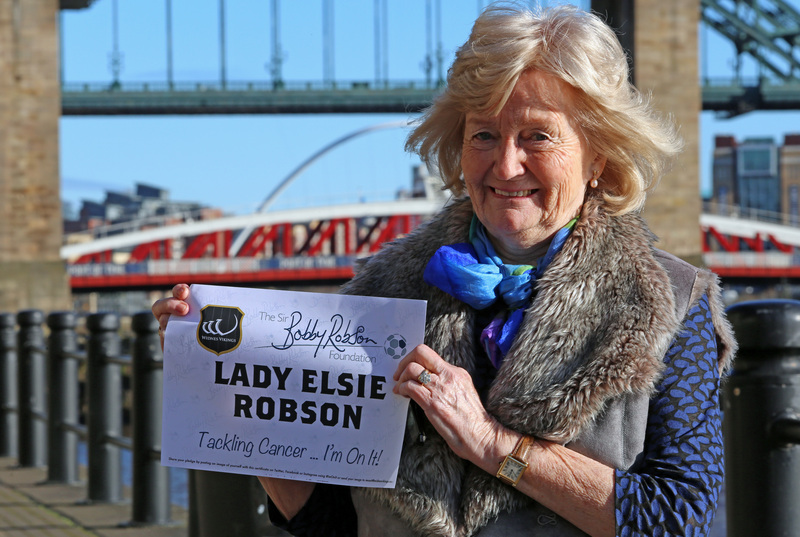 However, the Vikings have welcomed the most important endorsement of all as the campaign has received the backing of Lady Elsie Robson. “This is a wonderful campaign and it’s very kind of Widnes Vikings to think of us again this year. “Every team relies on its fans and it’s very fitting that the names of so many Vikings’ supporters will be on the player’s shirts in May. “And I know it’s not just Widnes fans who have joined this campaign and made it such a great success. 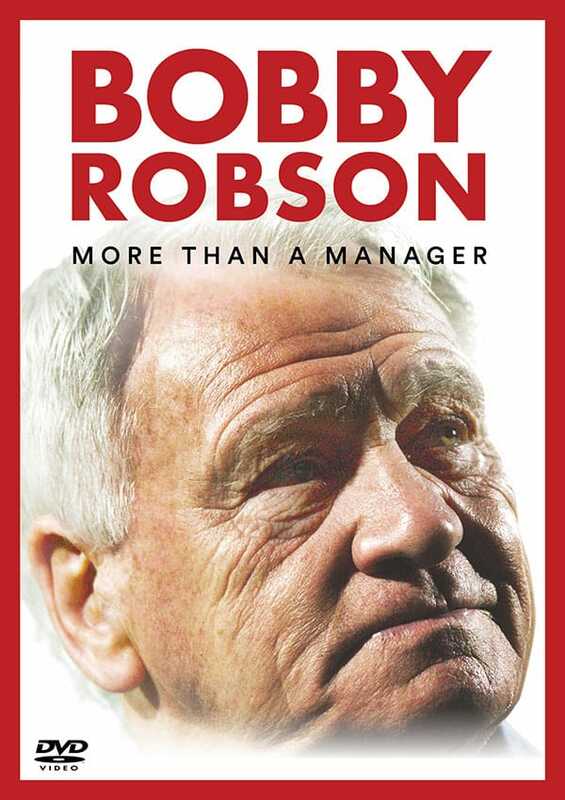 “Every single person or company who has made a donation to be on the shirt is helping us continue the work of Bob’s Foundation and we’re very grateful. 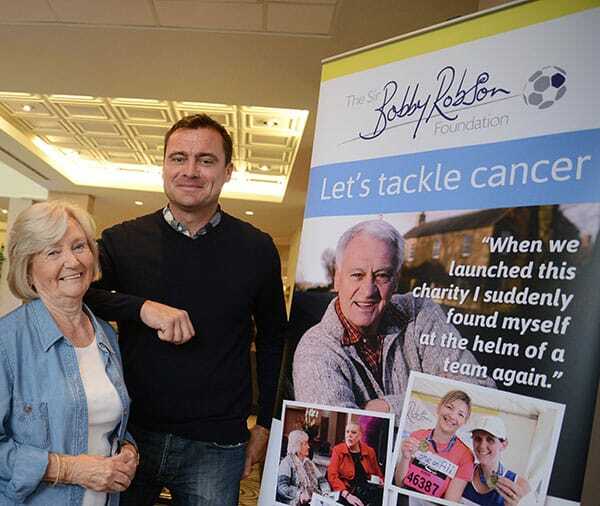 Lady Elsie and her three sons, Paul, Andrew and Mark, spend much of their time ensuring the ongoing success of the charity Sir Bobby began in 2008. 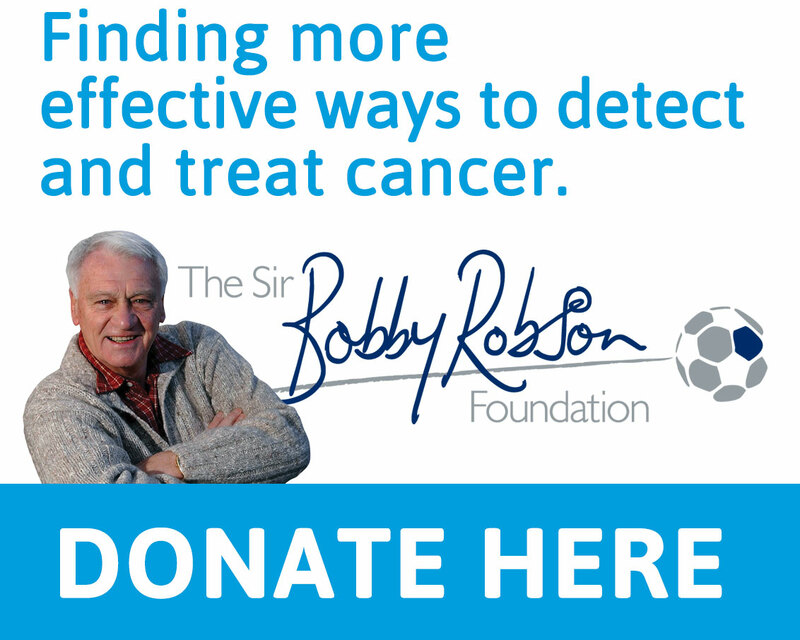 More than £9 million has been raised in that time and the money is helping find more effective ways to detect and treat cancer and is of international importance. The deadline to donate to the ‘Tackling Cancer… #ImOnIt’ appeal and have your name in the fabric of this special garment is Monday 29th February.